Welcome to one of the best homes in The Woods of St. Thomas neighborhood, Which is close to award-winning schools, fabulous restaurants, great shopping and major highways. You'll love this gorgeous 2 Story Home which offers three floors of updated living space. A 5 Bedroom, 3 Full Bath, 1 Half Bath home offers 4,691 sq. ft of finished living space that is move in ready. The many features and updates of this home include a new roof (July 2018), all new windows, 2 Car Attached Garage, 3 fireplaces, Walk-out Finished Lower Level, granite counter tops throughout, hardwood flooring, front and rear staircase, , an elevated rear Deck, and tons of storage in the Lower Level unfinished area. 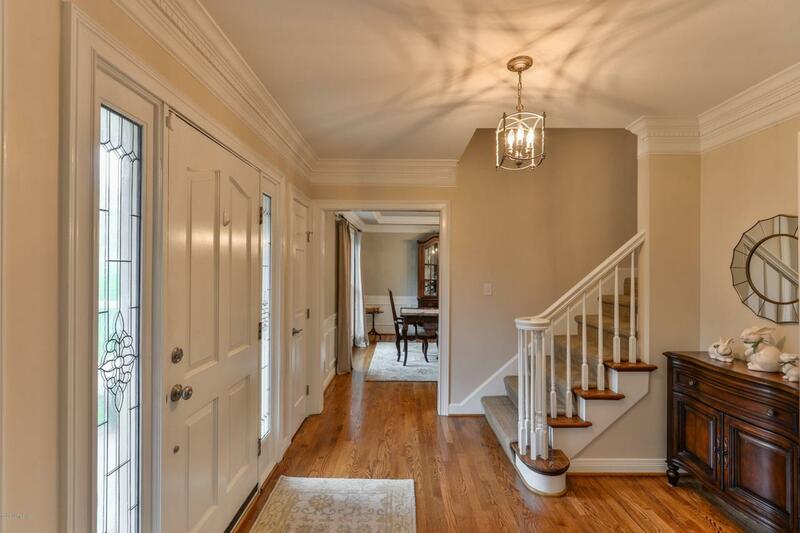 The Entry is flanked by the Formal Living Room and the Formal Dining Room. Entertain or relax in thespacious Family Room with hardwood flooring, wood burning fireplace, custom built-in bookcase, a coffered and a vaulted ceiling. The Eat-In Kitchen boasts hardwood flooring, granite counter tops, plenty of cabinet and counter space, planning desk. More space to relax or entertain in the Walk-out Lower Level. Watch the big game in the Family Room with the home's 3rd fireplace. The 5th Bedroom in the Lower Level has a full size window and access to the nicely-equipped Full Bath. You'll be amazed at all the storage in the unfinished Lower Level space.Community Pool membership not included in HOA fees.